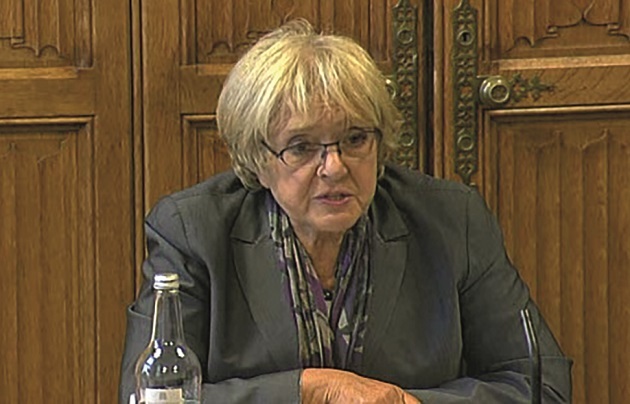 A government plan to reduce £300m of FE and skill bureaucracy has come under fire from Public Accounts Committee (PAC) chair Margaret Hodge after a National Audit Office probe found it had cut less than 2 per cent of costs for providers. In a damning report out today, the NAO said the Department for Business, Innovation and Skills’ (BIS) Simplification Plan — launched after an NAO report in 2011 estimated the cost of meeting funding, qualifications and assurance requirements to providers was between £250m and £300m — had saved a mere £4m and that a “much more serious effort” was needed. The NAO report points out the plan, containing 42 actions across 10 different bodies, was “not a strategic stocktake of where simplification might have the greatest impact” and that providers themselves had “little voice” in its development. Ms Hodge, pictured, said: “I am incredibly frustrated that the efforts of BIS to cut bureaucracy have not reduced the admin burden faced by the FE sector. The department’s simplification plan has brought cost savings of only £4m – which is just a tiny fraction of the £7bn which goes to FE providers each year. “Worse still, many providers feel that the weight of bureaucracy put on them by complex funding and assurance arrangements is the same or greater than before the plan. It’s no wonder that providers struggle with all the different arrangements when they have to deal with multiple bodies and funding principles for different learners on the same courses. The NAO report points out that BIS does not keep a record of compliance costs, and so cannot even track whether the its plan worked. However, it said 30 of the actions had been achieved by September last year, but added that “most providers consulted during the evaluation felt the administrative burden was either worse than or no different from that experienced before the plan”. The NAO report said: “The plan contains some good ideas, volunteered by the funding and oversight bodies, but implementing these ideas has not impacted significantly on the cost burden of complexity, as this report shows. It goes on to make five recommendations for BIS, including improve the quality of information on compliance costs imposed by funding and assurance bodies; work with the Department for Education (DfE) to publish a document that clarifies the roles, responsibilities and accountabilities of the various oversight bodies; and, work with the DfE to find more radical ways to simplify the complex funding arrangements. It also said that BIS should ensure that forthcoming changes are implemented consistently with policy aims, but do not introduce unnecessary complexities and costs for providers; and should work with Ofqual, the Joint Council for Qualifications and the Federation of Awarding Bodies to reduce the variation in administrative requirements placed on providers by the awarding organisations. Amyas Morse, head of the NAO, said: “We and the PAC have highlighted before the over-complexity in the further education sector and the unnecessary burden this places on training providers. This diverts money away from students. A BIS spokesperson said: “We have made good progress in removing and reducing bureaucracy for FE providers. Funding and inspection systems have been streamlined and providers tell us that this has had a positive impact. For more, read edition 121 of FE Week, dated Monday, December 8. If the Apprenticeship budget is about £1.5 billion then consider this – 30% is kept back by the Primes to ‘manage’ the contract, leaving £1 billion to those who actually deliver the programme. Of that, about 65% – 70% of time and resources goes on costs of administration of the Awarding Body requirements, the qualification, the business, and managing the contract with the Prime. That leaves about £300 million for actual face to face delivery. That is 80% administration and 20% delivery. On top of that, we subcontractors have been required to produce, and issue to candidates, additional policies on subjects such as Business Continuity and Sustainability (of which they have little or no interest in) and we, personally, had to pay directly £2500 for Matrix accreditation. Apart from the pleasant sensation of listening to the feedback the exercise did not reveal any material problems, we did not change a single procedure or process in order to pass it and we did not learn anything useful from the exercise. Why would the civil servants of the Government want to reduce bureaucracy? This time of year being a bad time for turkeys might provide you with the answer. There is far too much red tape due to funding and of course due to OFSTED. Stop OFSTED inspections at FE colleges and much will improve. College management will focus on running a better college for students rather than trying to please OFSTED. Obsession over the latest data or teaching fads from OFSTED wastes both management and lecturer’s time and leads to money being wasted. Colleges also try to guess what OFSTED want and misinterpret what is required. To clarify they waste money on consultants. Politically correct demands from OFSTED leads to colleges wasting further time and money trying to make sure they get a better grade next time. Added to this an inspection system where half the possible grades are effectively “fail” is madness.